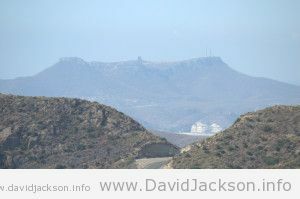 The hills above Mojacar are enchanting. They have an arid, volcanic, dry and dusty appeal that from afar appears alien, strange and inhospitable; but once you are amongst them, in the dust and dry, they lure you in, with promises of easy walks that quickly become exhausting dry struggles to the top of the mountain. “No more” you promise yourself as you grab another bush and haul yourself over another thorn tree, “I’m going home”… then you reach the summit, and spot the blue of the sea, and the green of a far away olive, and the breath of sea air hits you, and you get your breath back, and decide… just a little further. It was early this morning when we left the car at Macenas beach and struck out into the hills. There is an optimistic sign which promises the adventurer two observatorios, two lookout points, one seems close, the other not so close. Was it a nice day? Judge for yourself. My fellow rambler was a cultured man – I do him no disservice by describing him as a top shrink – and as we conversed we barely noticed the rapid ascent into the hills behind the beaches. The birds kept us company. The route appeared easy. A road, up to the viewpoint. 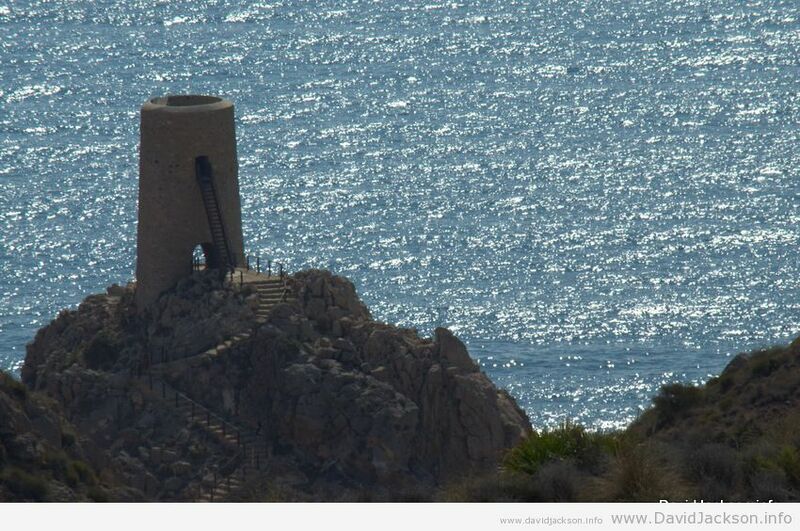 A couple of kilometers and we were above Macenas watchtower. This ancient watchtower (restored now) was one in a series of watchtowers dating from the 16th century, which guarded the local Christians against marauding pirates, both Moorish and other Christians from further off. These pirates not only needed supplies – local peasants were always required as slaves for the oar galleries, or for the markets, something that carried on until the mid 17th century. Upon sighting an enemy vessel, warning beacons would be lit up and down the coast, alerting the local garrisons to the dangers. There were no signs of pirates, only mild heatstroke, as the temperature climbed over 30` and I realised I’d forgotten my hat. Such is life. The road also ended at the last observatorio, meaning we had a bit of a stiffer walk ahead. Although I half remembered the route from my childhood, some kind soul had signposted part of the route with some hazard tape. Or was our unknown friend warning against proceeding? Only one way to find out! The route took us over the very tops of the mountains between Sopalmo and the beaches of Macenas. High above, we could see the small fertile valley on one side, the volcanic beaches on the other. We were too stunned at the views to consider our discomforts. Avoiding the wild boar excavations and fox droppings, we stumbled on. We got pretty high up. This photo is the road to Carboneras at it’s highest point. We were higher. 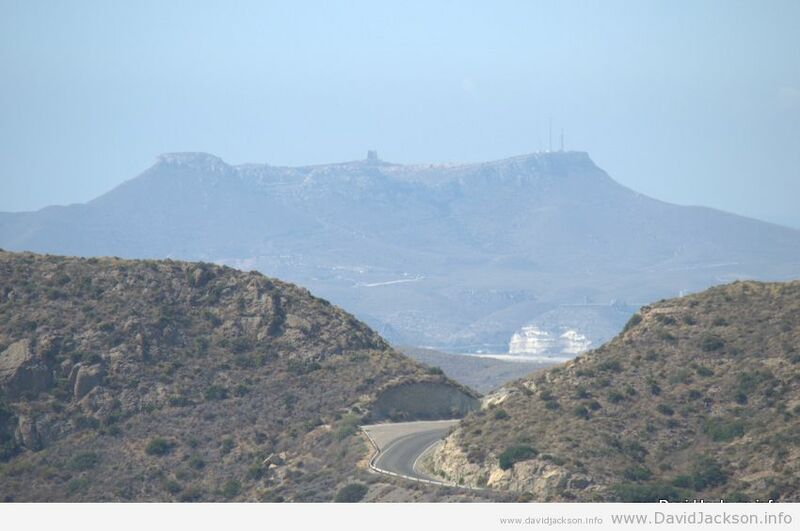 Road to Carboneras – we were higher! The descent, when it came, was fairly brutal. We dropped down an almost vertical cliff. The mathematician in me tried to calculate the gradient, but the heatstroke was stopping the calculations, and I didn’t really care anyway. The route comes out through a fairy tale like hidden entrance, via an algarrobico tree which has curved over the trail to make a secret entrance into a riverbed. From there we joined the main rambla below Sopalmo. My original plan had been to track up to Sopalmo and meet up with everyone else at Maria’s place there. Instead, since we were ahead of schedule, we diverted down to the beach, having decided that with the smell on us, the others wouldn’t want to be around us until we’d cleaned up. We ended up back at the last Macenas beach, the one called Treasure Island, after the film they shot there. There’s a beachbar there. It’s changed. I haven’t been there since I was, oooh, 17. When we used to party all day in Mojacar and sleep on the beach. The beachbar used to be… well, fun, when you’re into that lifestyle. Not that I ever really was. Now, it’s another beachbar. They even have a menu on display at the entrance. It never used to have an entrance. Treasure Island beach used to be fun. Now – it’s a beach. There are still a few nudists there, tho’. No mobile phone signal there, either. So I did the old trick we used to do up in the mountains of Los Moralicos. 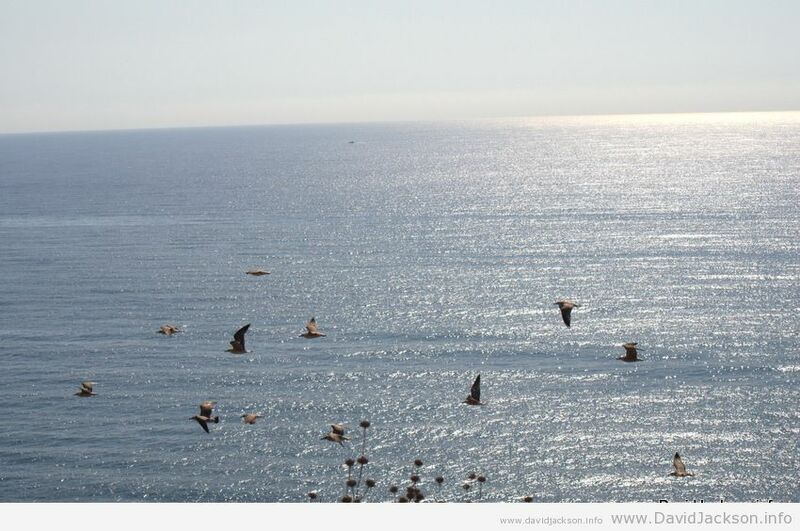 Find a curved stone cliff, and try to send messages via Algeria Telecom. 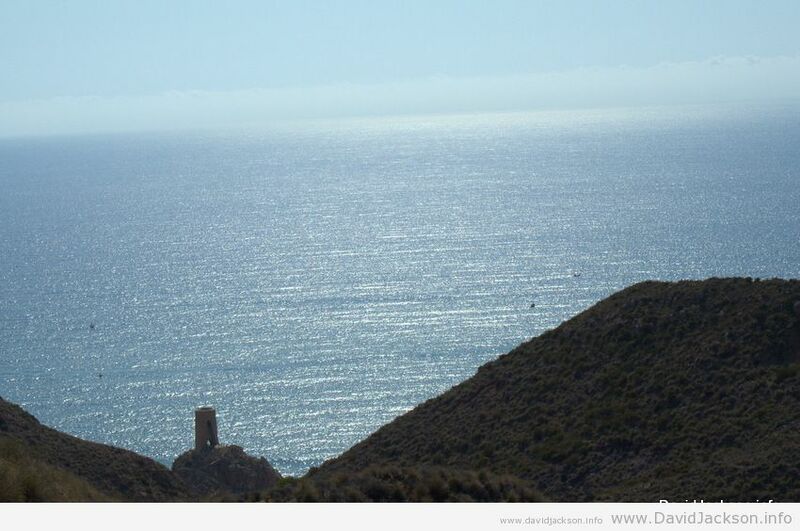 The signal bounces off the cliff and across the Med. The roaming charges are brutal, but it sometimes works for an SMS. Remember those? Yes, Mojacar has changed. It’s not the laid back sleepy seaside hamlet of my youth. It has aspirations -god knows why- and has tried to go upmarket. The empty beaches I remember now have bins, and beachbars, and are full of well off middle class Spanish with all their kids. The carparks are full of Mercs and BMW’s. But strike away from the maddening crowds, and the old magic still lurks. It will be there when the luxury cars pull away, and the crowds vanish, and fancy beachbars close their doors for the season, and we locals can once again ignore the corruption, the bad planning, and the overall destruction, and quietly live our lives in what is left of the beautiful countryside, behind the half finished hotels and empty blocks of cheap flats. On the plus side, nobody broke into the car. That´s one change that´s happened over the years that I´m not going to moan about. 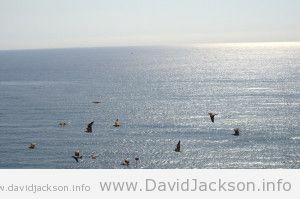 This entry was posted in Articles and tagged beach, macenas, mojacar, rambla, ramble, senderismo, sopalmo, walk by David. Bookmark the permalink.